This is a 5 inch x 7 inch design featuring one of my water colour paintings. 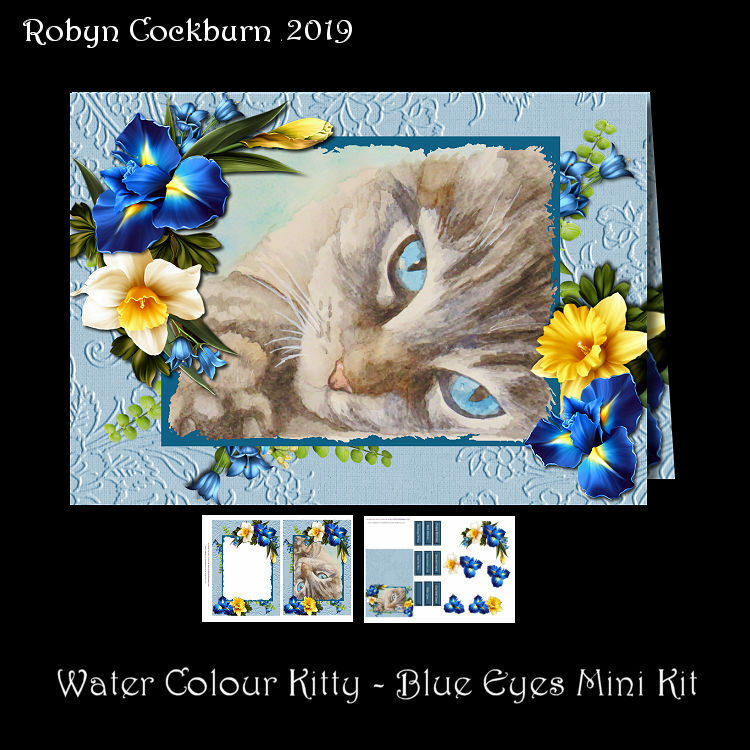 This pretty cat has amazing blue eyes and is framed by irises and daffodils. The following conversions use live rates and are indicative only. Your order will go through to Paypal in Australian Dollars. How to receive your downloads. After paying via Paypal Click on the link from Paypal to Complete Your Transaction and go to DOWNLOAD page. After clicking the [Complete Transaction] link you will be transferred back to the Crafty Card Designs download page with links to download your purchased items. You have 24 hours to complete your downloads. All DIGITAL products in this store are downloadable products so there are no shipping charges for these. Shipping is via the downloads page. As the links are sent automatically there can be no returns. If you do not receive the links via the download page then please contact me and I will be happy to resend the links to you. (To broaden your search select one keyword and enter it in the Search Box above).